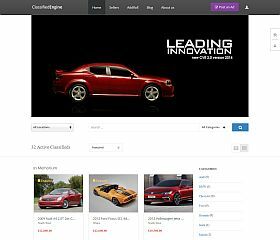 ClassifiedEngine is one of the most design-centric and modern classifieds WordPress themes available. This solution from EngineThemes will give you all of the tools and features you need to set up your own classifed ad site (or section of a site) – and keep you current with the latest design trends and WordPress technology. 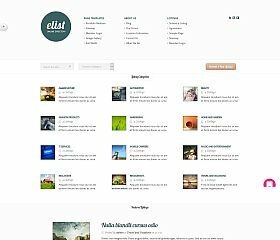 eList is a multipurpose theme that delivers a complete classified ads or directory solution. It can be used as easily for a classified ads site, including: eCommerce functionality, easily categorize items, customized search box, allow front-end submitting of listings, and create a site that is simple to use and administer – yet powerful enough to handle countless items and visitors. Dolce Classifieds is an all-in-one solution – one of the most powerful and beautifully-designed classified ad themes for WordPress available. 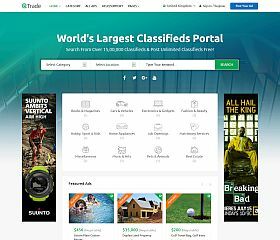 With a built-in private messaging system that allows members to message each other, a robust form builder built-in, flat design, and no other plugins required in order to work – this theme is the ideal choice if you’re wanting to set up a powerful and beautiful classified ad site. 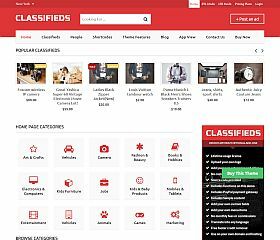 Classifieds is one of the most robust and powerful WordPress theme for creating a classified ads site – extensively tested and optimized. Dozens of options, features, and customizations allow you to create a classified ads website (or section of an existing website) that looks and functions just how you want it to – and includes: built-in payments, recurring payments, coupons, and more. 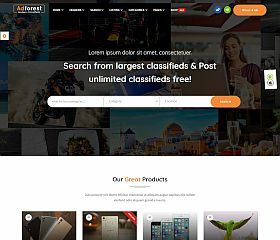 ClassiCraft allows you to categorize your posts or listings and allow users to post their own ads with this powerful and robust theme for classified ads from InkThemes. It incorporates stylish fonts and typography along with a simple layout to provide easy browsing and navigation for your visitors. 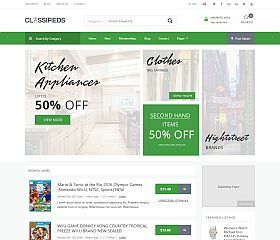 Classifieds Theme is a premium solution that allows you to create a classified ad site with member management, pricing packages, and search functionality you won’t find in other themes. 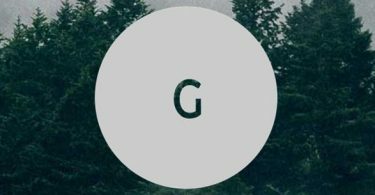 One of the most flexible and robust themes of its kind, one of the main allures of this particular solution is the rich set of features that include everything from geolocation and proximity searching to the versatile pricing you are able to charge members. ClassiPress is a pioneer for classified themes, providing unmatched features and functionality and a multitude of features for both administrators and visitors. Features: responsive layout and design, multiple pricing options, custom fields and forms, instant search/autosuggest, social network login, optimized for revenue and income, built-in statistics for ads, child themes, and user registration management and dashboards. 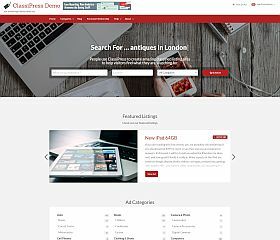 AdForest is one of the most robust, flexible, and versatile themes available for classified ad sites available. Features: front-end submission of ads, moderator approval, bad word filtering, integration with MailChimp and WooCommerce, and dozens of other features and options that allow the theme to be customized to your needs. 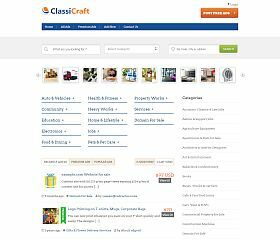 Classiads is a very powerful, robust, and feature-rich theme for WordPress that takes advantage of multimedia and design to deliver a first-rate classifieds solution. Features include: “Layer Slider,” BBPress support, unlimited color schemes, PayPal integration, Google Maps integration, custom field integration, responsive layout and design, support for video within ads, set expiration dates for ads, user dashboard, list/grid layout, and more. 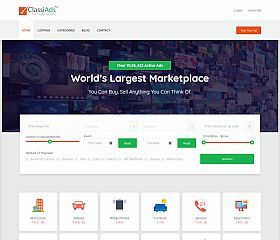 Classify is a theme that delivers an unmatched solution for classified ad sites, the modern theme looks great across all types of devices and screen sizes. The theme was built with a responsive layout, Retina-ready images/icons, support for 650+ Google Fonts, Google Maps integration, “Layer Slider” included, BBPress support, support for PayPal, advanced search (including geography), unlimited color schemes, and more. FlatAds is a modern solution for a classifieds website with a responsive and flat-style design – while the features and functionality give you total control and the ability to customize the theme to suit your needs. It balances aesthetics and usability to deliver an impressive-looking (and functioning) classifieds site that you and your visitors will love. 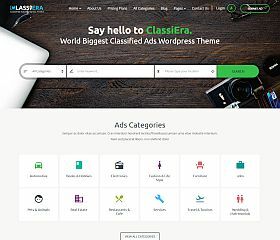 Classiera is a clean and modern classified ad theme for WordPress that features a ton of custom functions and multimedia support. It includes: multiple homepage layout options, list and grid view options, Google Maps functionality, front-end ad posting, Retina-ready, ad management, custom admin dashboard, and other custom features that will give you a site that looks and functions how you want. ClassyAds is a modern directory-style WordPress theme for classified ads. 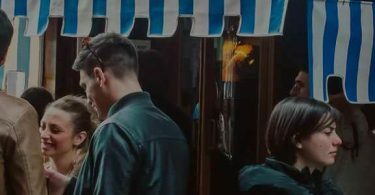 With inspiration from Airbnb’s design, it features a modern and clean layout, built-in payment facilitating, custom shortcodes, the ability to set up geographic regions, Google Maps integration, bookmarking functionality, and more. 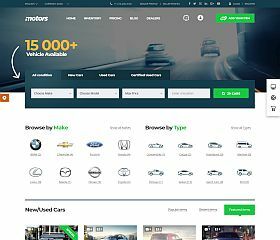 Motors is a multi-purpose theme that is able to accommodate a wide variety of uses, enabling you to create a site that looks and functions beautifully. Designed for displaying vehicle ads (boats, cars, motorcycles, etc.) features include: powerful search capabilities, list and grid layout options, compare listings side-by-side, a built-in finance calculator, inventory management, integration with PayPal and Google Maps, and more. 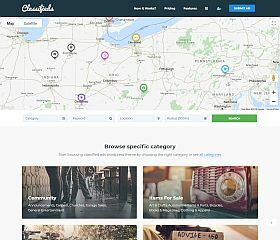 Classifieds is a feature-rich and powerful theme, giving you everything you might need to set up a stunning ad site. Whether you’re wanting to set up a site like Craigslist, power a local news site, or simply set up your own classified ads site – you will find that this is one of the best WordPress themes of its kind available. 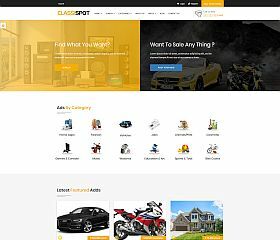 CarSpot is a true multi-use theme for classified sites, with six different pre-packaged solutions: Boat, Car, Classified Ad, Shop, Bike, and Repair. 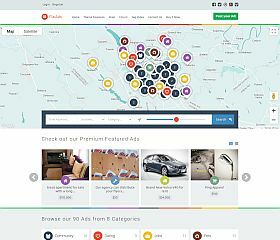 Trade offers a versatile classified ad solution built with the popular Bootstrap framework/toolkit. Responsive layout and design, pre-zoned ad spots, and powerful functionality make this theme a very compelling choice for setting up a classifieds site. 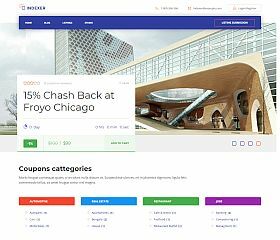 Indexer is a robust WordPress theme that allows you to create an online classified ad site/marketplace. Equipped with unique features like a “deal countdown timer” as well as a clean design, it will impress your visitors – and give you the ability to customize to suit your needs. 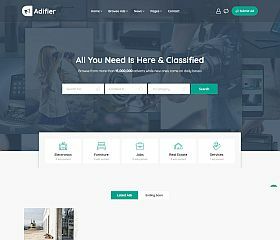 Adifier is the modern solution for creating a classified ad web solution. No custom scripts or modifications, you can easily set up your own site or section with powerful features like reviewing items, powerful search, earn by charging for listings, auctions, user dashboards, and more. Whether you’re building a local, community-driven classified ads site or you aspire to reach a national (or even global) audience with a site like Craigslist, constructing a site of this nature can be a very time intensive and costly undertaking. While your typical blog or website has basic elements that can be customized to suit your needs – a classified site is a totally different undertaking. In addition to the standard features you would find on a standard website (your blog, contact page, etc) – with a classified ad site you might want to incorporate a variety of different features like eCommerce functionality, pricing features, user-generated content, submission of listings, member registration, and much, much more. Fortunately, there have been a handful of WordPress theme designers and developers who have tackled these types of sites – creating some truly remarkable and beautiful classified themes for WordPress in the process. What might take you countless hours and unforeseeable costs can now be had for just a fraction of the price – and give you a first-rate site that functions beautifully for you and your visitors. Powered by WordPress, these classified ad themes will give you a complete solution – for a great functioning and looking website.